that fits your own trading style and grab it and make it your own. It is just that simple. into your own trading style. keep the winners for big moves. 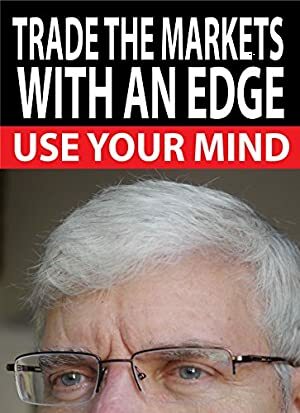 Another thing this book does it that it gives you the desire to make continuous profits just like the master traders do. Making profits one after another gives you a fantastic feeling which is tremendous! Also in this book you will know who to listen to for ideas from people who have many years of experience and who are seasoned traders. the seat of their pants. So download this book today and never look back! Log In to track Adrienne Toghraie on eReaderIQ. to be notified each time the price drops on any book by Adrienne Toghraie. to stop tracking Adrienne Toghraie. Log In to track Gail Mercer on eReaderIQ. to be notified each time the price drops on any book by Gail Mercer. to stop tracking Gail Mercer. Log In to track Joe Krutsinger on eReaderIQ. to be notified each time the price drops on any book by Joe Krutsinger. to stop tracking Joe Krutsinger. Log In to track Joel Rensink on eReaderIQ. to be notified each time the price drops on any book by Joel Rensink. to stop tracking Joel Rensink. Log In to track Larry Jacobs on eReaderIQ. to be notified each time the price drops on any book by Larry Jacobs. to stop tracking Larry Jacobs. Log In to track Lars von Thienen on eReaderIQ. to be notified each time the price drops on any book by Lars von Thienen. to stop tracking Lars von Thienen. Log In to track Ron Jaenisch on eReaderIQ. to be notified each time the price drops on any book by Ron Jaenisch. to stop tracking Ron Jaenisch. Log In to track Steve Wheeler on eReaderIQ. to be notified each time the price drops on any book by Steve Wheeler. to stop tracking Steve Wheeler. Log In to track Thomas Barmann on eReaderIQ. to be notified each time the price drops on any book by Thomas Barmann. to stop tracking Thomas Barmann. We started tracking this book on June 19, 2014. The price of this book has changed 10 times in the past 1,770 days. The current price of this book is $4.99 last checked 4 hours ago. The lowest price to date was FREE last reached on June 23, 2014. The highest price to date was $5.99 last reached on March 7, 2015. We last verified the price of this book about 4 hours ago. At that time, the price was $4.99. This price is subject to change. The price displayed on the Amazon.com website at the time of purchase is the price you will pay for this book. Please confirm the price before making any purchases.